The Greater Miami Convention & Visitors Bureau (GMCVB) has partnered with Booking.com to provide consumers with one-stop shopping when they visit MiamiandBeaches.com, with Booking.com serving as the GMVC’s booking engine. The GMVC Web site will have access to Booking.com’s 24 million user reviews and ratings, real-time hotel availability and best price guarantee. Talbert believes the partnership will help grow demand for Miami and the Beaches while also assisting the GMCVB in measuring some of the impact of its marketing activities related to driving hotel stays. Internationally, Brazil is the top global market followed by Canada. 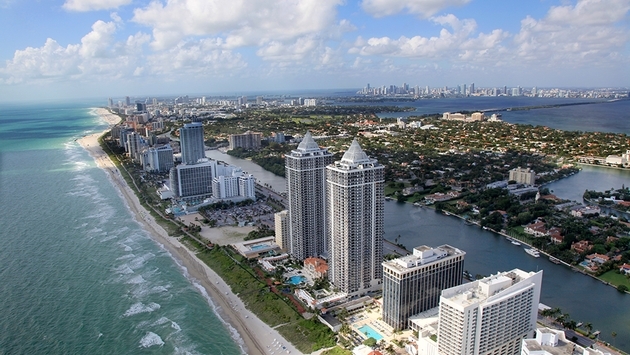 “We believe the partnership will help grow demand for Miami and Beaches, and importantly, assist the GMCVB in measuring some of the impact of our marketing activities in driving hotel stays,” said Talbert. Talbert said the GMCVB welcomes more visitors from the Northeast than any other market domestically. Last year, Greater Miami and the Beaches had a record-breaking year, with 14 million overnight visitors and hotel rates that climbed to a record 77.9 percent occupancy.